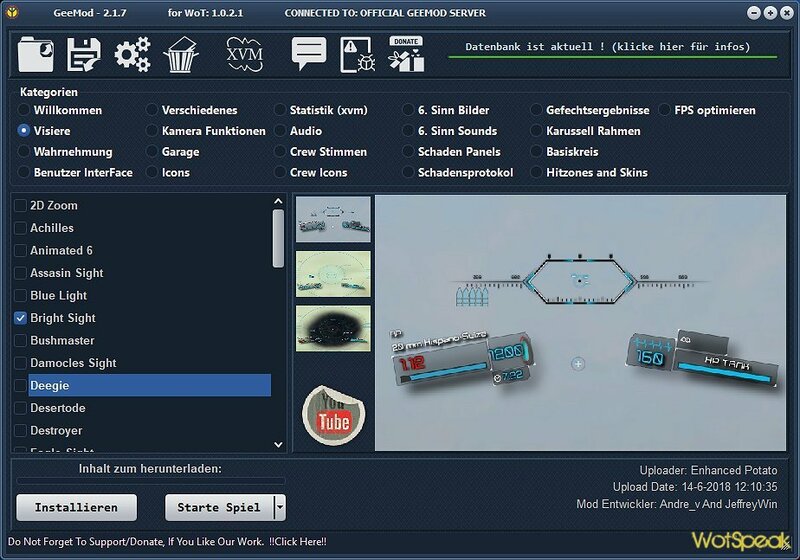 Modpack Geemod for World of Tanks 1.4.1.2 is probably one of the most popular mega build mods in the EU region, in it you will find more than 100 mods. 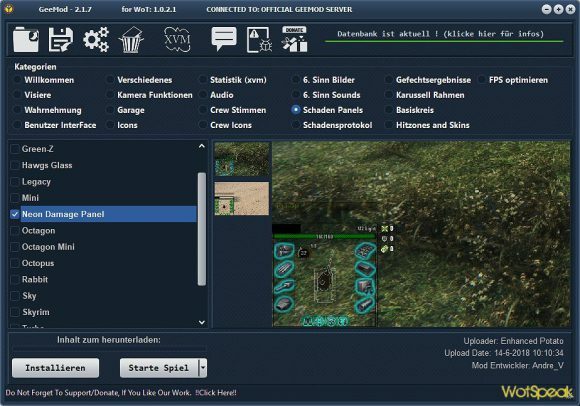 Assembling mods from Geemod is popular because it contains the most high-quality and useful mods that you choosing by checking the Show preview window when installing modpack. Here is a very simple and convenient installer. 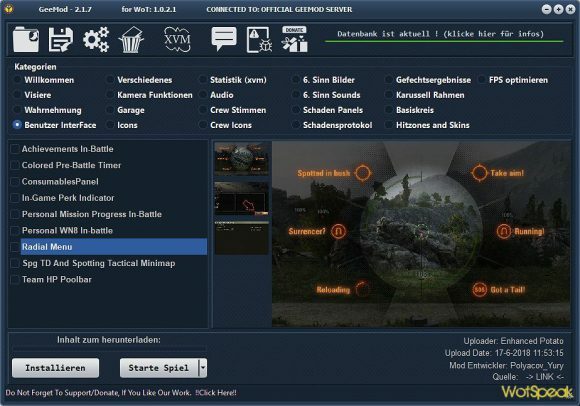 In the modpack you will find a large number of icons, sights, panels, sound mods, XVM configurations from various authors, WoT Tweaker, textures and models of tanks, a large number of icons of tanks, sounds of shots, various mini-maps and a large number of mods for your comfortable game. Follow the instructions of the installer, choosing the desired fashion. Run the game as usual.